Baltimore is an exciting city for intrepid tourists. 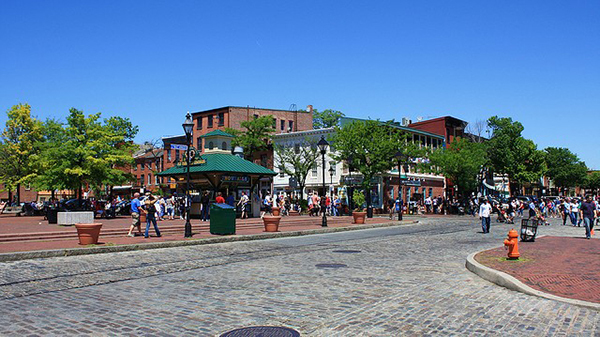 Whether wandering along the Inner Harbor and visiting the National Aquarium, strolling through historic Fort McHenry, or taking in an O’s game at iconic Camden Yards, sightseers can easily entertain themselves in the city. 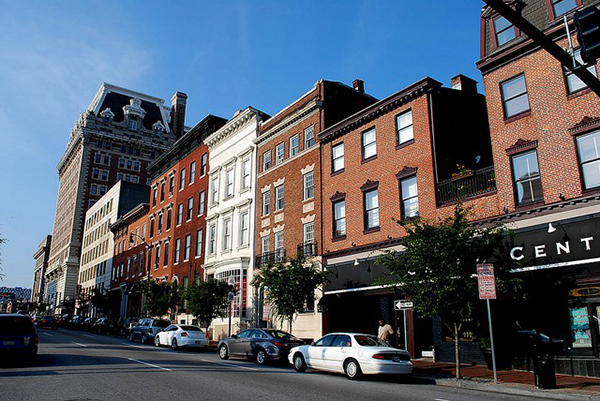 But to really experience the allure of Baltimore, you should go where the locals hang out in the quirky Baltimore neighborhoods. Here are four popular hot spots in Baltimore’s best districts you won’t want to miss. 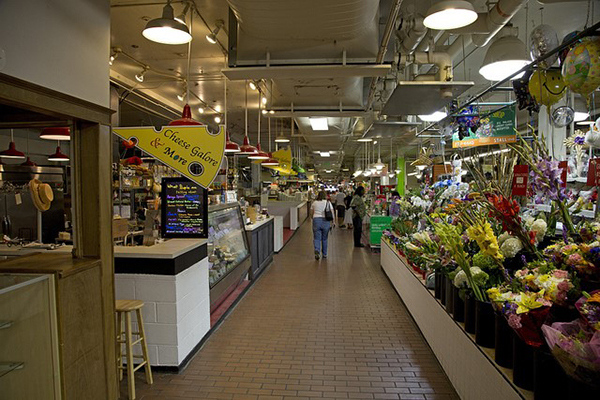 This Federal Hill landmark is a more intimate and diverse version of the overpowering Lexington Market. Shop for fresh flowers, herbal potions, gorgeous organic fruits and vegetables, and homemade candies — anything your heart desires. Sample some sushi, grab a fragrant croissant and café au lait, or pack a picnic at Big Jim’s Deli. Whatever you do, don’t forget to stop at Nick’s Seafood, a Baltimore legend, for some raw oysters, steamed shrimp, the world’s best crab cakes, and a cheap 32-ounce beer during happy hour. The Cross Street Market is located only a few minutes from one of the most famous addresses in America, The House of H.L. Mencken. While you’re staying in Batimore and visiting the Cross Street Market, be sure to check out this history behind H.L. Mencken and his house. Baltimore prides itself on its culture of art; it’s home to the Walker Art Museum and the avant-garde American Visionary Art Museum. Become a part of the art culture on the first Friday each month when the Fell’s Point Development Corporation partners with a dozen local galleries, as well as trendy restaurants and nightclubs, to showcase the best Baltimore’s best artwork. Mingle with the artists, sample artisanal cheese and regional wines, and enjoy specially priced small plates and discounted drinks at hip Fell’s Point hot spots. 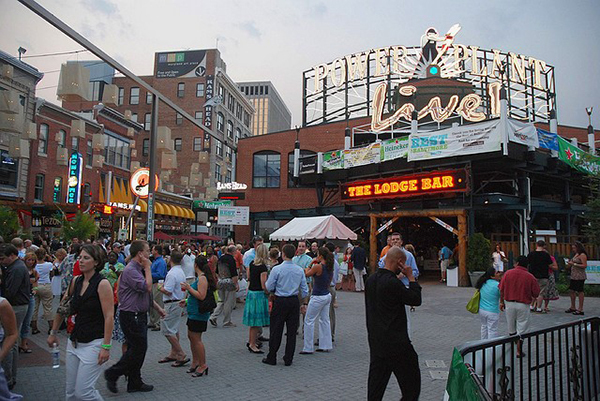 Just one block from the Inner Harbor, the Power Plant Live is the dining and nightlife complex every Baltimorean chooses for a rocking night out. Live music is free on the plaza during the summer months, and Ram’s Head Live, the newest venue, showcases the best indie bands. Locals love the noise and energy at Howl at the Moon, an improv dueling piano bar. Hang with the hipsters at Leinenkugel’s Beer Garden with more than 35 brews on tap, or go gritty urban cowboy at the PBR Baltimore. This cozy theater in the historic Mount Vernon cultural district is a date night favorite for locals. Delivering bold and edgy performances of Shakespearean classics and provocative contemporary plays, the Center Stage’s Pearlstone and Head theaters are a cultural oasis for theater-lovers. Go early and enjoy a classic cocktail at the Nancy Roche Chapel Bar or dinner at the Mezzanine Café before the show, and mingle in the Lobby Bar during intermission. Be sure to try the Black Bottom cupcakes, a Baltimore tradition, at Sascha’s Express. The theater partners with local restaurants for pre-show dinner specials, as well. When you plan your next Baltimore getaway, get to know the bus and subway routes, and venture into these quaint urban districts and neighborhood hot spots Baltimoreans love. You’ll appreciate Charm City’s dynamic metropolitan vibe in a whole new way.